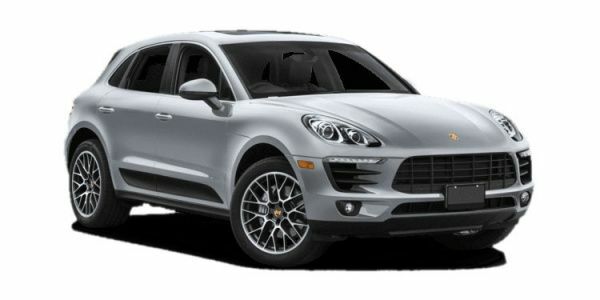 Porsche Macan prices start at Rs. 80.38 lakh for petrol and goes upto Rs. 1.52 crore. Porsche Macan is available in 3 variants and 10 colours. Share your experiences with Macan? The claimed ARAI mileage for the Porsche Macan petrol is 13 kmpl. The Porsche Macan is the sportiest in its group and is a thrill to drive, but at this hefty price it’s even more expensive than the much bigger and popular Porsche Cayenne. Q. Does it have music and audio controls in the rear seats? A four-cylinder petrol engine has dropped the Macan’s starting price considerably and brought it within reach of many more luxury car buyers. Does this two-litre four-cylinder-powered crossover still deliver a proper Porsche experience? What better way to spend a hot and humid Mumbai day than tackling some off-road courses enveloped in a German precision machine? Starting at a price of Rs 70.00 lakh for the base 2L variant and going all the way up to Rs 1.10 crores (ex-showroom, Delhi), Porsche Macan is one of the most affordable offerings of the VW-owned brand. The design of Macan is along the same lines of bigger Cayenne, with all the Porsche characteristic elements coming together to form a striking aesthetic appearance. The cabin is built around the driver and the include multifunctional Steering wheel with paddle shifters, Porsche active suspension management system, panoramic sunroof, and four-zone automatic climate control. Porsche has given Macan range of engine options - a 2.0-liter and (249bhp/370Nm) a 3.6-liter petrol (400bhp/550Nm) and a 3.0-Litre diesel (258bhp/580Nm), all coupled with an automatic transmission. The safety features include 8 safety airbags, traction control system, and Limited slip differential among others. The Porsche Macan in India is giving competition to the likes of Audi Q7, BMW X6, and Lexus ES.